It has been some winter that we’ve been having. It’s great if you don’t have anything to do with cold weather testing or have anything to do with the snowmobiling industry. The past few days it’s been warm enough to start melting some of the little bit of snow we have. It’s more like the first part of March rather than February. Friday, Tom, Mick and I went to the Lake. We had a good, reliable tip on a spot and it’s a good thing that directions were clear, because it was foggy and seeing where to go was anything but clear. We located the spot, about six miles off Pine Island and began fishing around 11:00 a.m. We fished until about 3:30 and while the bite wasn’t fast, it was good enough to keep us happy. We ended up three short of our limit and caught only one slot fish, but it was a dandy. 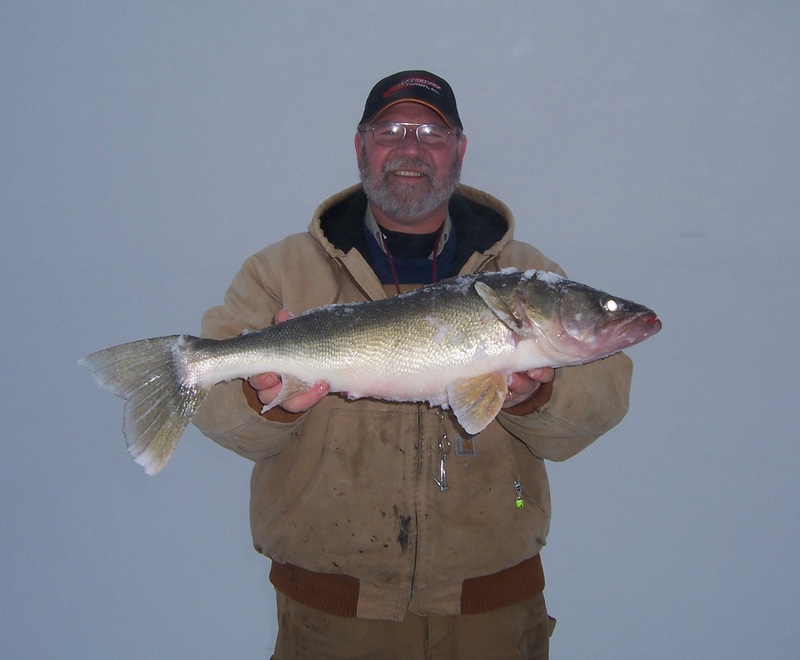 Tom caught a beautiful 29″ walleye and that makes him the new leader for the largest walleye with the Bosch cold weather test team. 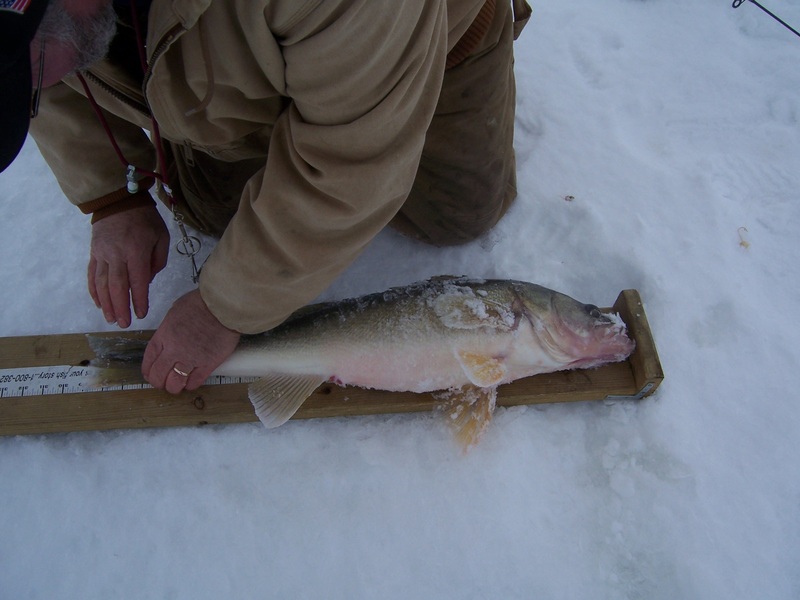 He released the fish and said that it was a good thing that it wasn’t an inch longer or it would have cost him to have it mounted. We hurried back to town and went down on the river for the last hour of fishing. The sun had come out, but just before dark the fog rolled in and visibility went to very little. 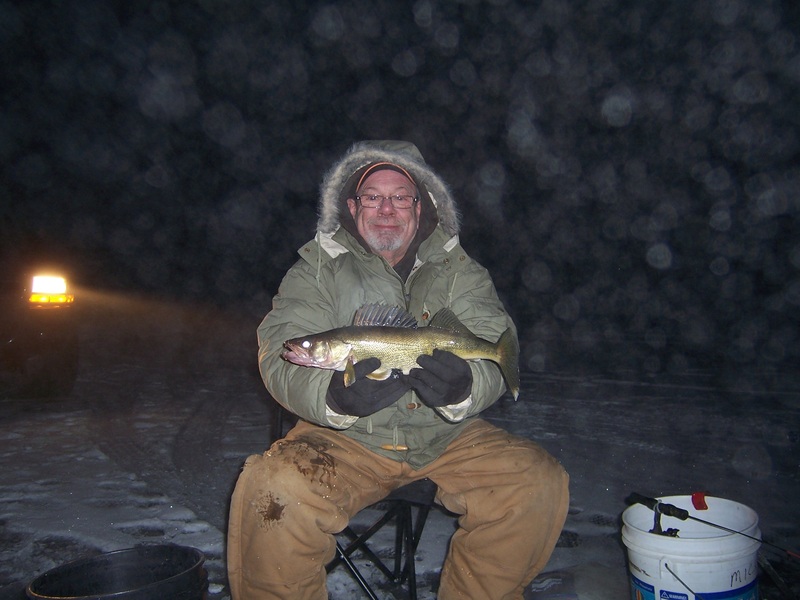 We caught three walleyes and kept two, so we ended up short one for the day. We were all happy, it was a good day.